Can anyone let me know the name of this flowering tree? Very pretty flowers--like the bright red. Super shot and awesome red! So pretty. 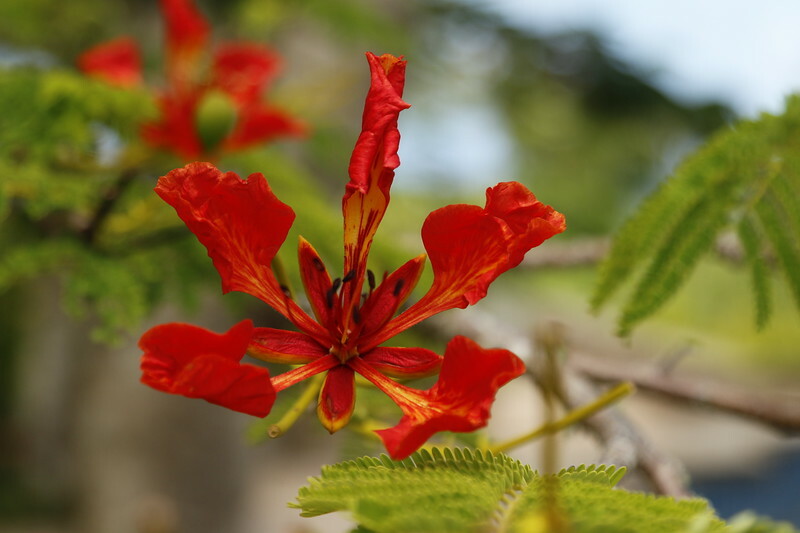 I thought too like Terry that it might be akin to the Royal Poinciana - but the leaves don't look right to me. But then again........what the heck do I know, I'm hopeless with trees, plants and flowers. I had a house once on South Padre Island that had a Royal Poinciana tree in front, and I named the house after the tree. But the blooms looked very different - more closely aligned with the Mimosa blooms, but thicker and red. Nevertheless, a very pretty shot!